This entry was posted on December 6, 2018 by Valentina Chiriacescu. What Is a Flower Girl? A big part of the wedding ceremony is the flower girl. If you’re new to this and don't know what the role is all about, try to go back to a wedding scene you saw recently. You probably remember the cute, adorable little girl who scattered flower petals on the wedding aisle, while introducing the bride to the whole crowd. TIP: Don't confuse the flower girl for the bridesmaid. Even though they both have a special connection to the bride or the groom, they do different things during the ceremony. If you’re not sure exactly what goes into each, you'll find all the nitty gritty further on in this guide. How Old Is a Flower Girl? If you're wondering what age is proper for a flower girl, the rule of thumb is that she should be between three and ten years old. So, how old is too old or too young? If your pick is over 10 years old, try to make her part of the wedding as a junior bridesmaid. This will be a better role enjoy the experience of participating in the wedding from start to finish without the overwhelming responsibilities often taken on by the bridesmaids. What happens if your flower girl pick is under 18 months old, not even got to walking and .. is basically a baby? There are ways to make her part of your day, even though 18-month-olds don't take direction. All without worrying she won't be able to complete her role. But the question remains: how do you get the baby flower girl down the aisle? A little baby girl or an infant can be a flower girl just as much as a 3 years old. Just make sure somebody is there with her on the aisle, holding her hand or carrying her in a cute wagon. If the bride will also have a ring bearer or a page boy, he can pull the wagon. You can attach a cute message to the wagon and you can decorate it with your favorite flowers and plants, balloons, and why not, her favorite pet! Some people tend not to go with quite so young flower girls in their ceremonies because their actions can be unpredictable. But others find any imperfections, like stumbling, falling asleep in the wagon or chomping on a few flower petals quite the cuteness factor! 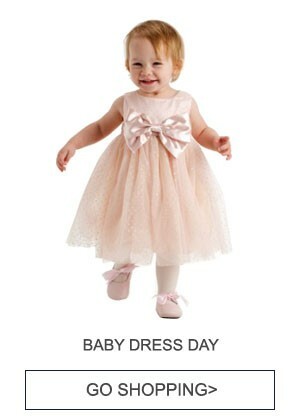 Shop our cute collection of infant baby flower girl dresses! Lilac Flower Girl Dress - Get it here! White Flower Girl Dress - Get it here! These little girls are already learning how to walk, so they'll be able to go on the wedding aisle on their own, with a lot of encouragement. All you have to do to make sure she's not going to get scared of the walk is have somebody with them on the aisle, showing her where to go, and have one of her parents at the end of the aisle! Turquoise Tulle Flower Girl Dress - Get it here! TIP: Be prepared for potential meltdowns, tantrums and know she may not make it completely down the aisle. Shop our adorable collection of toddler flower girl dresses! Blush Flower Girl Dress - Get it here! Coral Flower Girl Dress - Get it here! Gold Flower Girl Dress - Get it here! If you're really worried about losing control of your flower girl during the wedding ceremony or having her throw a tantrum, turn to a girl l that's a few years older, like a 3 to 5 years old will be a safer choice. And an adorable one! If she's able to walk on her own and knows how to toss petals, you can relax because her moment it's probably gonna run smoothly. But if you don't think she can handle the whole ceremony, make sure you have prepared some distractions for her (try coloring books or toys). This way you avoid any problems if she gets tired, nervous or bored and can't stay focused. Ivory Champagne Flower Girl Dress - Get it here! Navy Floral Flower Girl Dress - Get it here! Champagne Flower Girl Dress - Get it here! There is no best age for a flower girl because age doesn't necessary guarantees you a maturity level, but a 7-10 years old flower girl's ability to stay focused will be higher. At this age, she'll be able to do a fine job and try her best to make the bride happy and to keep the guests entertained! White Bow Organza Flower Girl Dress - Get it here! White Multilayer Flower Girl Dress - Get it here! Burgundy Tulle Flower Girl Dress - Get it here! In the search for the perfect flower girl, you may bump on some really nice girls that you’d love to have in your wedding, but that are slightly past the proper age. Well, don’t worry, you can still have them sitting next to you on the Special Day as a junior bridesmaid! This role will be a better fit for responsibilities, without the big tasks that came along with the official bridesmaid job. So, how old is too old? Ideally, the flower girl is three to 10 years old and a junior bridesmaid between ten and fourteen. If you would like to find out more about the role of junior bridesmaids and the appropriate age for them, this Huffington Post article will give you everything you need. Shop our lovely collection of junior bridesmaids dresses! When & Where Did the Flower Girl Tradition Start? You might feel like the flower girl tradition was around forever. And it’s true! This dates back to the Roman Empire. Even though seeing the little flower girl walking like a princess on the wedding aisle is a beautiful view for every ceremony guest, it wasn't the look that made the flower girl tradition stick. What she stood for did. They aren't just a wedding prop. The flower girl tradition comes with a lot of meaning and purpose. Traditionally, the little girl represented the fading of a bride's innocence and the passage from childhood to womanhood. A symbol of fertility and family, the flower girl announced the bride’s new role as a wife and a future new mother. The flower girl represents true purity and innocence. Her resemblance to the bride has a deep meaning, that goes past being a cute bride look-a-like: she represents what the bride will leave behind when she marries and embraces her new role as a wife and mother. Back in the Roman Empire, weddings only had one goal: procreation and the continuity of the family. Pretty rough, but that's how it went! And that's actually the reason why the flower girl used to carry sheaves of wheat during the wedding ceremony -- as a symbol of fertility and prosperity, as well as keeping evil spirits at bay. In the Renaissance Era, the flower girl role changed - she stopped carrying sheaves of wheat and replaced them with strands of garlic - a symbol that protects the family from bad evils and bad luck. Why Have a Flower Girl Drop Petals? The closest to what we're seeing right now on the wedding aisle is the Victorian Era's tradition - the role is like what happens nowadays. The girls used to dress in white with a sash of colored satin or silk. The garlic was replaced with fresh blossoms, flowers, and petal tossing, as a symbol for the new couple will have many chances to have children. Typically the Flower Girl dropped rose petals, herbs and a mixture of grains down the wedding aisle. The grains and herbs symbolize hope for future fertility and everlasting love, and the flower petals symbolize good luck wished upon the couple. Fast forward to our days, instead of dropping flower petals, flower girls can blow bubbles down the aisle, throw confetti or carry teddy bears or other whimsical accessories. Although the meaning behind having a flower girl changed so much over the centuries, I think we can all agree that giving up on dropping garlic was a good superstition to let go off! How Many Flower Girls Can You Have During a Ceremony? A lonely girl or a happy crowd? Even if the tradition says that you should have one flower girl, the rules are made to be broken, right? It is the bride's decision. She can make this call and pick more than one girl for this role. Depending on the wedding size and her own personal wish, the bride can choose up to 3-4 girls to join her on the aisle. For the ring bearer, she can make the same call and pick 2 little brothers for example instead of one. If the bride wants more girls, then there are 2 options: matching dresses (the same dress in different sizes) or different gowns. The only rule is that the outfits should respect the wedding's theme and preferably alike in terms of style. If the girl is very young, it's quite an inspired move to have more than one flower girl. The buddy system is a really good way to give them a confidence boost. Find more about how you can coach a shy flower girl to walk down the aisle from this Brides Magazine article. The idea of having two flower girls or pairing up ring bearer and flower girl so that they can walk together, side by side comes with a lot of benefits: added confidence, split the responsibility and double the fun! Two or three girls can look lovely when walking together, so why hold back? For a small girl, it can be pretty scary to walk all by herself on the bridal path. So the presence of others kids can be relaxing. They can hold hands for support or even toss flowers from the same basket. This way, the girls will be feeling more confident and have fun in the process. Talking about other kids, if you will have a ring bearer, partner them up! Holding hands, smiling, giggling - all the joyful stuff you want! Always remember that the role of the kids in a wedding, no matter if they’re flower girls, ring bearers or junior bridesmaids, is to send out good vibes. So make sure you have a happy crowd. Carry the bride's dress train (choose an older girl for this job). Carry candles on the aisle. Hand out flowers to the guests. Carry signs with messages (most popular - Here comes the bride!) or more whimsical accessories, like colorful balloons, paper pinwheels, or even a bottle of bubbles to blow. What Does a Flower Girl Wear? The flower girl usually wears a tea-length dress or a ball gown dress - something special and very festive, worthy of wearing to an event. In terms of colors, white or ivory flower girl dresses are the most searched for, but any color goes as long as it's in the same wedding theme. TIP: Don't miss out the 2018 flower girl dresses trends for a fashionable look! Finding your flower girl the perfect dress could be a true challenge. The girl should wear a special dress, carefully picked for the big event - something that both the bride and the childlike and fits the wedding theme. What Are Flower Girl Dresses & How Do They Look Like? Usually, the flower girl dress looks like a mini version of the bridal gown or of the bridesmaids' dresses. But this isn't mandatory. Depending on the wedding's theme, there are many options for the dress and its style can vary from a classic bridal one to a more funky and colorful one. Even black flower girl dresses are now in style! Pink Rose Flower Girl Dress - Get it here! The only rule you should follow is to choose a dress that will make the little one feel special and appreciated. If she likes the dress, her confidence walking down the aisle will be boosted and she will love performing the role! TIP: Don’t choose a dress that's too grown up for your flower girl. 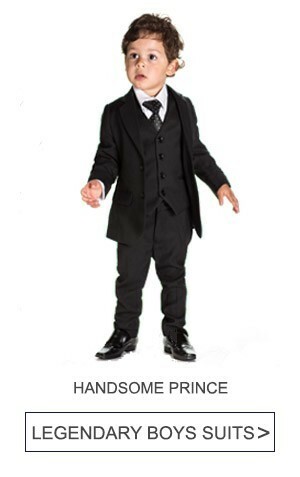 If the bride has an outstanding designer dress, don’t try to dress your young one the same. Sweeter versions are available for youngsters. Pick something simpler and cheaper, and her smile will do the rest! Why Are Flower Dresses Mostly White? Traditionally, the flower girl dress is a look-a-like bridal dress, which is often times white. Many brides rather go for the flower girl wear white as a symbol of sweetness and purity. If you're going this route keep in mind that some guests may not approve of her looking too grown up, like a "mini bride." Wearing a look-a-like dress, the contrast between the bride and the girl is highlighted - the passage from childhood to womanhood. What Other Dress Colors Can the Flower Girl Wear? However, the flower girl dresses are not always supposed to be white. She can go with a warmer or joyful color for the little one - ivory, blue or light pink can be nice options for the dress, complementary to the bride or bridesmaids. So, as you can see, there are so many popular bridal colors choices that you can get inspiration from for your flower girl dress! Add color with accessories. Even if the gowns' colors got more progressive with time, the flower girl dresses' color etiquette is still ahead of it, with more flexible choices. You can add bows, ribbons, or a sash to match the color of the bridesmaids' dresses or the wedding color scheme, such as the color of the flowers or centerpieces. Should Flower Dresses Match Or Replicate the Bride's Wedding Gown? Matching the bride's wedding gown is popular and has a long tradition, but flower girls aren't limited to wearing mini replicas of the bride's dress. Although traditionally the girl’s dress matches the bride’s gown, this isn't a must. If you can't find or afford a matching version, take a look at a less expensive dress in the same color. TIP: If you want to match the dress, go with the same color as the bride’s dress, but add an extra color accent, like a colorful sash with a bow. If you want matching dresses, but you can’t find one, don’t panic! Simply try a dress that features the same color as the bride/bridesmaids. Don’t choose a mature dress for your girl, or a design that's too revealing or grown up. It will look awkward and the effect will be the opposite of innocence and purity, a throwback to childhood. If the bride’s dress has an outstanding designer that would look strange on a little girl, just pick something simpler and cheaper, The little one's smile will do the rest of the magic! If the wedding gown is too grown up for a youngster, choose to match the wedding style. Whether it's chic, elegant or country, this is a more appropriate way to make the flower girl part of the wedding. Matching the dress is very popular with brides who are mothers. If their daughters are their flower girls, this makes the occasion special for the little girl as well as her mother, so matching the two outfits is a great idea. Do Flower Girl Dresses Have to Match Each Other or the Bridesmaids? It's a common thing to match the bridesmaids and flower girls dress - mostly for aesthetics and having a lovely "girl squad" look. But finding the perfect dress in the right sizes don't always work out. So that's why it's simpler if you don't stress about it: flower girls dresses can either match each other or not! What to Do if You Can't Match the Dresses? The girls could be wearing the same dress in different sizes or different dresses. No matter what your decision is, make sure they have a common theme or style going. If you can't dress them in the same dress, choose a common theme or color. After all, the girls will be at the same wedding! What to Do if the Flower Girl Doesn't Want to Wear a Dress? If your flower girl is more of a tomboy, and she's not comfortable or happy in a dress, don't force the attire on her. The next best things to a fancy dress are to wear a cute tux or a fancy pants outfit. So you have your flower girl, she knows everything about her role in the ceremony and she's very enthusiastic about walking like a rock star on the aisle. Perfect! The only thing remaining is…well, you guessed it. The dress, of course! TIP: Finding the perfect dress can take ages if you don’t have something specific in mind. So here are a couple of things you should pay attention to before buying the dress. These are the top most important tips on choosing the perfect flower girl dress -- they can make a difference in keeping her safe, happy and comfortable the entire day! Choose the dress together with the flower girl and the parents. The flower girl might be very excited and up for any dress idea! But the wedding couple should also consult with the flower girl's parents to make sure the dress will be comfortable and appropriate for the girl. Do not be discouraged if the bride gives you a long list of requirements for the event, there are lots of dresses out there for you to choose from and surely you’ll find one that will meet all of them. Involve the flower girl in the buying process and make sure she loves the outfit. Ask her opinion and respect her preferences. Loving the dress is the secret: her confidence walking down the aisle will be boosted and she will enjoy doing it. This way she will look with more enthusiasms upon the big event and the moment in which she will be a true red carpet star! Shop together online. Taking a small girl to the mall and trying out too many dresses can tire her out and make her dread the idea of being your flower girl. A better way might be to take her shopping online. Show her different flower girl pictures and dresses and get an instant feel for what she likes. Choose an age-appropriate dress. The dress should not only match the wedding gown and the wedding's theme, but also be age appropriate for a youngster. Pink White Tulle Flower Girl Dress - Get it here! Pick the right size. Your daughter might have to go for fittings to make sure the dress is comfortable and not too long, to avoid tugging or tripping during the ceremony. Choose the right length. The longer the dress is, the harder it will be to wear it. If the flower girl is too small, she could easily trip and fall. Whatever the formality of the event, don’t pick up a long, uncomfortable dress that your little one will have trouble wearing. It will only reflect on her while walking down the aisle and the most important thing about this is for her to look and feel good. A tea-length flower girl dress is a perfect choice! Make sure the dress is in the wedding theme. If the wedding is a country or a rustic one, it would be awkward to have an inspired hippy look-a-like outfit for the girl. The dress should be in the wedding theme - if the wedding is a Victorian one, it would be awkward to have an inspired hippy look-a-like outfit for the girl. Don’t choose a dress that is too tight. The aisle isn’t a catwalk after all and the girl shouldn’t look like a mini fashion model. The goal is to make her feel good and at ease, not cause breathing problems or make her look grown-up. Some flower girls are not comfortable in dresses, so if that is the case, choose a fancy pants outfit for the flower girl to walk down the aisle in. Choose a festive dress. Even if the girl won't get to wear the dress too soon, and she'll probably outgrow it in less than a year, don't pick a casual dress for your flower girl, like something that she could easily wear every day. Make her feel truly special with a festive attire. Safety is a big deal. You certainly wouldn’t want your skin to itch or break out with a rash on your big day, or your dress to be so tight that you can’t stand wearing it. The same is true for your flower girl. For baby flower girls, don't use sequins or easy to remove buttons or anything that could look edible. You're season appropriate. Also, if the wedding is in the winter, don’t pick a dress that is too thin or with short sleeves. It is valid the other way around - if it’s gonna be hot outside, don’t punish the girl by making her wear something that will make her sweat all day long. Pick comfortable, high-quality materials. The dress looks amazing and everyone is crazy about it, but the fabric isn't the best? Well, then you should think twice. Itchiness isn’t lovely at all and the girls wouldn’t be happy at all wearing it. Stick with a breathable quality fabric that she has previously worn with comfort, and select a fabric weight that corresponds with the seasonal temperatures to prevent her from being too hot or too cold. Silk - Silk can be a nice choice - it looks great and it feels comfortable, but it's expensive and tears easily, so it might not the best choice for a young flower girl. Tulle - Tulle is also one of the favorites when it comes to fabrics. If you are aiming to get that princess-like look, with the ballerina’s tutu, tulle is the perfect fit for your flower girl. Satin - Most flower girl dresses are made of satin, so picking this fabric will definitely give you a lot more options! For an outside venue, consider the fabric of the dress: cotton and linen are great fabrics, particularly for summer weddings. If the outdoor wedding is to be held in early spring, however, heavier fabrics and a jacket are in order. For a chilly season, consider buying tights for her little legs. You do not want her freezing on that aisle. One of the most important factors to consider when purchasing a flower girl dress is the comfort. Avoid choosing a dress that is made of an itchy fabric or trim. An uncomfortable dress can lead to an irritated or whining flower girl. No bride or groom wants to see a flower girl walking down the aisle who is wiggling, scratching, or pulling at her dress. TIP: Always have a cute cardigan on hands - The weather can be unpredictable, so get a cardigan on hands. If she gets cold, you don't want her to end up in a sweatshirt! A pretty cardigan to match her dress is great to have on hand. If your wedding is in a warm interior venue during a cold season or a warm exterior venue that’s chilly at night, you can still go with a lightweight fabric or short-sleeve dress. Simply add a jacket to the ensemble that is easy to slip on or remove, as you need. When to Buy the Flower Girl Dress? It may seem like too much fuss, but the dress should be bought at least a couple weeks in advance. This way you will have the necessary time for making adjustments if the dress isn’t a perfect fit. The girl should have plenty of time trying dresses out. Also, the run for the dress right before the big event it could be exhausting both for the parents, but especially for the bride and the girl. A wedding involves lots of preparations and the bride surely will not have the same mood right before the event as a couple of weeks before. Avoid the unnecessary stress and take your time in finding the right dress. Still, beware: don’t buy the dress months in advance because the girl can outgrow the dress. Still, if you have no choice but buying the dress lot in advance, buy a bigger size so you won’t risk anything. Who Pays for the Flower Girl's Dress & Attire? Traditionally, the flower girl’s clothing was taken care of by the families of the bride and groom, but today most couples expect the parents of the flower girl to pay for her clothing and other expenses related to her participation. If you were wondering who buys what, there is your answer: the costs of the dress and other accessories, like the basket, are being covered by the girl’s parents. Also, they will also pay for the girls' transportation and will cover any other costs involved in attending the pre-wedding events. The couple pays only for the flowers. If you are a parent and don’t know how to discuss your budget with the bride, it’s very simple. Just be honest about it so you can avoid further misunderstandings. As a bride, you can offer to pay for the flower girl dress. What Shoes Are the Best for a Flower Girl? After choosing the dress you should think also about the shoes the flower girl will be wearing. Pick comfortable shoes, preferably make sure she has worn them before (around the house for a couple of days before the event at least). The key is to make her feel comfortable at any time. A wrong pair of shoes can ruin the moment and will definitely not make her show the biggest smile. Silver Sparkle Shoes - Get the pair here! If shoes aren’t so suitable for the wedding (especially if it is a beach one) and the girls must walk barefoot, be cautious because she may injure herself. Make sure the bridal path is clean. Even if it's summer and the walk will be done on grass, to avoid any accidents, don’t leave your flower girl barefoot. Even if the flower girl is almost a young lady in her own vision (7 years old or more) do not let her wear high heels! It can be a lot of begging and screaming involved, but remain firm on your position and try to explain that her role requires a different kind of shoes. Heels on a tiny foot can look very weird and also, the innocent and pure role she has will be certainly lost on the way. 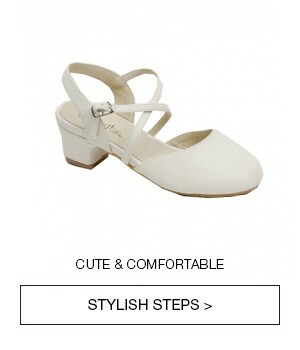 Ballerina flats or Mary Janes dyed to match the dress are a good choice. Get her own pair here! At this age, the girls are too small for wearing any fancy hairstyle or glamorous make-up. Still, if she is older, you can make her part of the bridal team by letting her watch how the bride is getting ready for the big event. If she really wants a magic touch too, you can curl a couple of hair strands or let her wear a very light, even translucent shade of lip balm. What Accessories Are Right for a Flower Girl? Depending on the girl’s age, there are a couple of options you could consider when finishing the look with hair accessories. The most popular touch is the one given by a headband (with natural flowers or just decorative). If the girl is older, you can consider a nice princess-like tiara and a veil. It would definitely make her shine! If you are a more traditional person, you can try a nice and sweet flower crown. 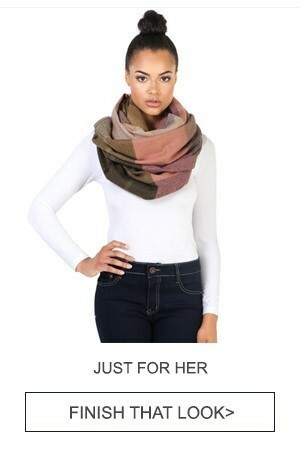 This look will look amazing and will match with the basket of flowers the girl carries. Try them all before the wedding and make sure they’re not too heavy and fit her head properly. Keep jewelry to a minimum – they might be uncomfortable in a hot sunny weather. Jewelry should be simple and age appropriate as well. Nothing clunky or distracting. If you like, you can place a wreath of flowers, straw hat, or pretty bun wrap atop her head. Picking the flower girl can be easy if the couple has relatives or friends with young kids. If you're the bride, depending on your relationships, you could choose a young girl who is directly related to the family. The girl could be a younger sister, niece or cousin, but this isn't a must. It is quite common to ask close friends with young children for this honor. If you have a large family and there is more than one girl that is suitable for the role, don’t worry! You are on the road to having a happy crowd and as discussed before, there are multiple possible benefits in having more than one flower girl! What Are the Flower Girl's Duties and Rules? Ok, so you’ve decided to have a flower girl at your wedding. Or maybe your girl just found out that she’ll be the lucky one. Now you should answer all your questions about the flower girl’s duties so you can help the little one preparing for the big day. It’s important to know what option is suitable for your wedding. The girl must know what she’ll be doing early in the preparation phase so she can be trained properly. Learning a role that she enjoys and finding out later that she will not be doing the same thing can be a little frustrating. The flower girl is responsible for scattering flowers on the bridal path from a basket. While walking down the aisle before the bride or the bridesmaids, she offers an entertaining moment for the guests while snatches smiles from everybody. Her appearance on the aisle signals the groom and the guests that the bride is coming soon. What Can a Flower Girl do Besides Throwing Flowers? You should know that the flower girl’s main duty is: scattering flower petals down the bridal path. Still, there are a number of wedding venues that will not allow the tossing. Don’t worry, there are still a couple of options you can consider for your flower girl. Other duties a flower girl can have are carrying a flower bouquet, a sign, a garland along with the ring bearer. If the little one is not allowed to throw any sort of flowers or confetti, she can still carry balloons or blow bubbles. Other flower girls are usually handing out candy or roses, while there are some with ribbon wand, dancing all the way down the aisle. When Does the Flower Girl Walk down the Aisle? Along with the ring bearer, right after the bridesmaids, before the bride - they are all right answers to this question. Although a certain wedding processional order must be followed, the moment in which the flower girl comes up may vary depending on the bride’s wish, the wedding style and of course, the age of the girl. She will be introduced earlier if she is very young, along with the ring bearer. This way, they will give each other the strength to make another step without running away because of the shyness. This way, they will give each other the strength to make another step without running away because of the shyness. Being such a big part of the ceremony, the flower girl has to get ready for the big event. Familiarize her with the event. One of the best ways to do this is to make her as familiar as possible with her role. Once she becomes familiar with her role, it will give her something to feel proud of. Help the little one to prepare properly and know all her duties. She has to rehearse her walking, practice the flower tossing and of course, that big smile, weeks before the wedding so she can make it right. Have your daughter grasp three or four petals at a time (like gently picking up a handful of cotton balls) and drop them with each step. Make sure the basket isn't too heavy to carry, especially if she's young! Before the wedding, she has to try on the dress and very important, to try the shoes she will be wearing at the wedding for a couple of times. At the wedding rehearsal, the flower girl should know how to walk, when is her moment to shine and where is the aisle she would be walking on. After the rehearsal, she might also attend the Rehearsal Dinner. Her presence is necessary at some pre-wedding events like the Bridal Shower. TIP: Don’t let her skip these rehearsal wedding events. The more familiar she is with the attendees, the more comfortable she will feel when walking like a princess down the wedding aisle! Her presence is necessary at some pre-wedding events like the Bridal Shower. Don’t let her skip these events because the more familiar she is with the attendees, the more comfortable she will feel when walking like a princess down the aisle! The only pre-wedding event the flower girl will not attend is the Bachelorette party, but maybe her mother can get an invite instead! Besides the actually walking on the aisle, the flower girl has to attend the wedding photoshoot, along with the happy couple. The long expected moment has finally come and the flower girl is ready to shine! She must now walk before the bride, introducing her into the ceremony. The big moment passed and now the flower girl can relax, right? Wrong answer! Her duties are not yet complete. She must now quietly watch the ceremony along with the other guests. But where does she stand? She can either go and sit with her parents or a close relative, either come in front and stand along with the other bridesmaids during the whole ceremony. It is up to the bride to decide which option is best for her wedding. If the girl is 7 years old or more, she can probably remain focused during the ceremony and fulfill this task too. But in most cases, it's recommended that the girl sits down during the ceremony. Kids tend to have a very short attention span: she may easily get disturbed or even experience boredom after a couple of minutes. The last thing a bride wants is that her perfect wedding to be ruined by a too active kid! Be sure to congratulate your flower girl and gift her a special something. TIP: One of the perks of being a flower girl is that you get the chance to appear in almost all the photos along with the newlyweds. If she loves it, that's perfect! If not, the photographer may have to come with a trick or two in order to get those right shots. The parents should be present at the photo shoot, so the girl feels more comfortable. A flower girl has an important role in the wedding ceremony so she needs to feel that her efforts were appreciated by the newlyweds. The bride and groom can choose a beautiful and thankful gift for the flower girl that will surely be a nice memory. This gift may be something symbolic like a cute bracelet, a heart necklace, toys, a photo album or something more practical like a new backpack, a lovely headband or a personalized piggy bank with a cute message. Where to find affordable Flower Girl Dresses? The Big Day is closer and closer and your flower girl must be feeling a bit anxious. Don’t worry! You have now all the information you need to help her really enjoy this moment. Just pick an awesome dress that will make her shine, help her feel comfortable with her flower girl duties and be there when she needs your support. Sophia Style has a wide collection of flower girl dresses, even flower girl dresses on a budget, under $40, flower girl baskets, tiaras, and headbands. One click away from the perfect outfit! They say the walking is the most important thing, but please remember that anyone would prefer a clumsy flower girl over a stiff one. Encourage her to smile a lot and let her wonderful presence do the rest!